HAPPY VALENTINE’S DAY…TO YOU AND YOUR VEHICLE! Have you ever stopped to appreciate the beauty of an automobile? As mechanics, we see a lot of cars and we love all of them! We love being your service & repair shop because we know, that you know, we take care of your car like it was our own! Whether you have a brand new Mercedes Benz or an old junker which always needs a repair, there is something very beautiful about automobiles. With the turn of a key you set off a chain of mechanical and electrical reactions which gives you complete control over your destination. You may not know it, but you have a special relationship with your car. And as with all relationships, if you put in the the time and energy to take care of your vehicle, you can have a long-term, rewarding relationship. 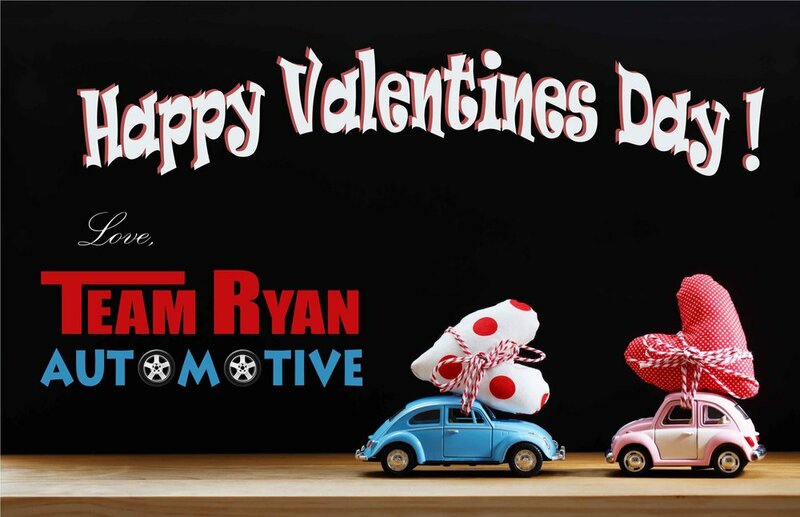 Happy Valentine’s Day from all of us at Team Ryan Automotive! Take your loved ones for a drive and see where you end up! Newer PostHow to Steer Clear of Car Repair Ripoffs! Older PostWhat Does an Engine Replacement Really Look Like?